Shortest strand 17", longest 36". Magnificent! 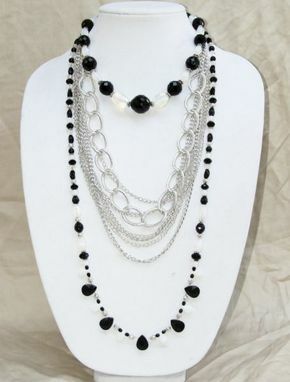 Huge Czech crystals and moonstone pebbles make up the first strand. 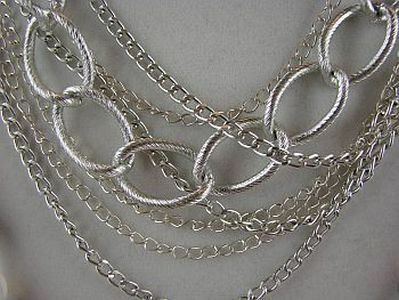 Layers of aluminum and silver plated chain form the middle. 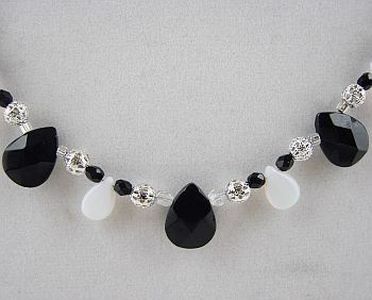 Outer strand is composed of Czech glass shapes, black and white crystals, moonstone and glass drops. 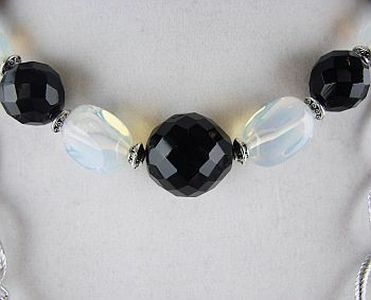 Finished with a silver plated leaf toggle clasp, shown above.